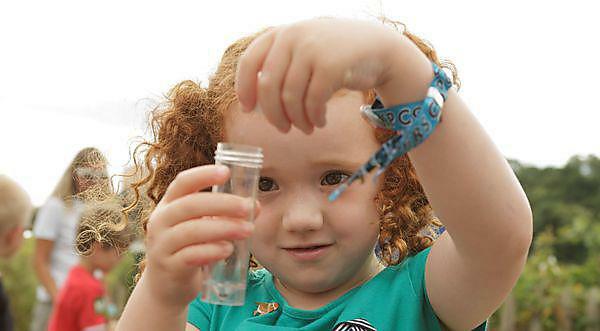 Scores of nature enthusiasts joined forces with scientists and local wildlife organisations last week to conduct a day-long ‘bioblitz’ in Plymouth. Radford Woods was the location for the survey, with plants, mammals, bugs and birds all on the checklist for keen-eyed participants. Organised by University of Plymouth, with support from the Devonshire Association Botany Section, Plymouth City Council and the Friends of Radford Woods, the aim of the project was to identify as many of the species as possible in a nine-hectare area of the woods. The event was part of the Plymouth Woodland Project, which is funded by the Heritage Lottery Fund and based in the School of Biological Sciences at the University. “With its mixture of woodland and marsh terrain, Radford Woods has recently been designated as a Local Nature Reserve, giving it protection as an important area for conservation. This monitoring work is really important for understanding how things like climate change and other human influences affect our wildlife and how we can improve conservation efforts. Nearly 100 members of the public helped to identify more than 300 species, including tree hoppers, the unusual tortoise beetle, water scorpions, newts and toads. Visitors had the chance to check out a range of rodents that had been retained in the live mammal traps, including bank voles; embark on wild plant walks and tree surveys; and dip into the pond, where the presence of dragonfly larvae, in Alison’s view “indicated a healthy habitat”. Rounding off the day, there was a range of wildlife-themed craft activities, and later, the Devon Bat Group took around 80 people on a night-time hunt, using detectors to pick up traces of bat echolocation. “It was great to see so many families at the event,” said Alison. “The children loved learning about wildlife from local experts who taught them how to survey for different species and identify their finds. This is a really important outcome for our project because it's these skills that are being lost as children today spend less time outdoors exploring than ever before." The Plymouth Woodland Project set up a two-year ‘citizen science’ programme in September 2013, and is seeking to involve schools and the public in fun woodland activities and surveys to help learn more about urban woodlands.